Welcome to the ebusiness boss blog, today i’m going to show you how to find competitors keywords on amazon. By the end of this article you’ll know the exact strategy i use to dominate the competition for amazon search terms. I’m going to provide you with some useful tips and tricks so you can organise your entire keyword strategy. I started implementing this amazon keyword strategy a few months ago and my sales have increased considerably. 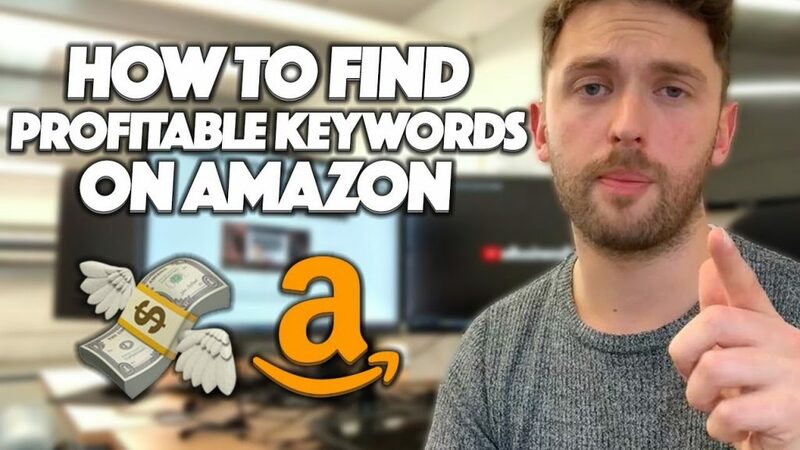 I’m also going to give you my opinion on the best amazon keyword research tool, as a seven figure seller i’m constantly on the look out for the next trending tool. The best thing about this strategy? I’m going to show you how you can do it for free. Before we get into it, why is it important to set a strategy in place for your amazon search terms? When i say amazon search terms i am referring to the keywords amazon shoppers type into the search bar when they are looking for a product. Obviously some search terms are more popular than others and this makes them more expensive for us sellers to rank for. It’s a simple supply and demand model. Amazon have a set amount of spaces on their pages, this means you need to be doing everything you can to rank for these keywords. The fact you have searched “how to find competitors keywords on amazon” tells me that you are a forward thinking amazon seller. Trust me, this is an essential quality to have as a seller, like me you are looking to stay one step ahead and i can respect that! Anyway, let’s get into the strategy, let me know you how to find competitors keywords on amazon. Let’s start at the beginning, before i do anything i’ll open a spreadsheet and label the tabs like so. First of all i will highlight my top three performing competitors for a particular product. For this i like to use helium 10’s Cerebro tool, i was introduced to helium 10 a few months back and i haven’t look back since. 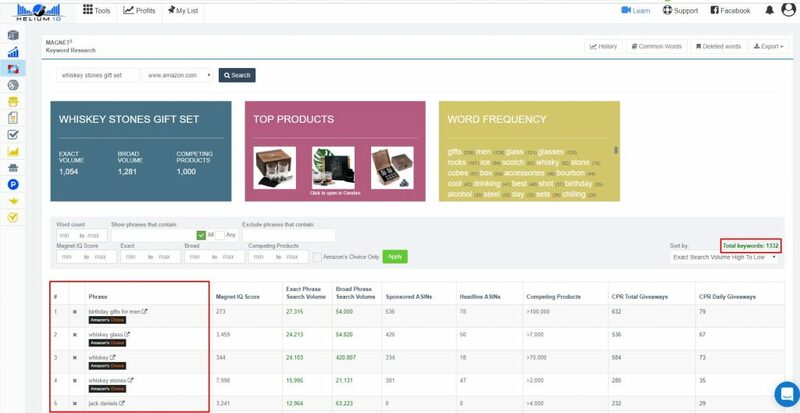 Within a few clicks Cerebro will pull all of the search terms that your competitor is ranking for. If you want to do this without spending any money, it will take you a little bit longer. As a free member you currently get 2 free uses of Cerebro a day, so it will take you a couple of days to pull this information for our spreadsheet. You can grab a free plan using the link below. Using this information you can see which keywords are generating their sales (POWERFUL STUFF I KNOW). I’ve picked out a random product on amazon to show you what this looks like (sorry if this is your product lol). This product is a set of whiskey stones, actually looks pretty cool. Anyway, on the left hand side you’ll see the “Phrase” column, and this shows the amazon search terms that customers are using. As you go right you’ll see “Cerebro IQ score”, this is basically an internal score helium 10 gives to a keyword, it shows the ratio between search volume and competition. Basically the more competition there is for this amazon search term, the lower the Cerebro IQ score. The next column is probably “The” most important one to look at, it shows the exact search volume for a keyword. Now this probably won’t be 100% accurate but most people say helium 10 have the best data available, I’ve found it to be wildly accurate. So the exact search volume column shows the amount of times customers have put the “Exact” phrase into amazon. We want to target the “Exact Phrases” that have a high monthly search volume and are super relevant to our product. I organise my keywords into three groups. My primary keywords are the keywords that i want to target most aggressively. Here’s a video that will show you how to find competitors keywords on amazon in a little more detail. If you are a fan, subscribe to the channel i really appreciate all of you! The next column i’ll mention is “Position (Rank)”, this is the second last from the right hand side. This column shows you where each competitor is ranking for that particular amazon search term. So this means, if you sort by highest to lowest you can work out where your competitors are generating most of their sales on amazon. This information is vital when i’m working out my amazon keyword strategy. Next let’s talk about why you should be using your competitors keywords on amazon. If you are launching a product or you just want to improve a product it’s useful to know which keywords you should be going after. These are the main things i think about when setting out my amazon keyword strategy. Firstly before you do anything, you need to ensure you are including all of your keywords within your amazon listing. Now if we go back to the spreadsheet, using helium 10’s Cerebro tool you should of now pulled all of your competitor data. Next you will of seen a tab labelled “Magnet”. This is another of helium 10’s tools, i wouldn’t be without it. For me i like to do everything possible to ensure i have considered every possible keyword that may well generate me sales. Magnet is very easy to use. Let’s use the whiskey stones example again. As you can see i have input my best amazon search term into the search bar (make sure you select the correct market place). Helium 10 has then found a load of super relevant, high search volume keywords that i can add to my list. I’ve only shown five amazon search terms in the above screenshot but it’s actually generated over 1000+. My general rule is; i will include any keyword with 200+ exact searches a month. So next i will extract this data and load it into my keyword spreadsheet. In my opinion helium 10 is a priceless bit of software, it does all of the hard work and allows me to focus my time on other areas of the business. Hopefully from this you now know how to find competitors keywords on amazon. Not only that but you should now know how to find the most important ones. Next let’s talk about on page optimization on amazon. At this point you should have completed the first four tabs on our spreadsheet. Next you’ll want to copy and paste all of these keywords into the “Master KW’s” tab. Once all of your keywords are in there you are going to have a fair few duplicates. Be sure to remove any duplicates before you go any further, If you’ve got excel this article will show you how to do it. Now all of the duplicates have been removed we’ve got a list of juicy keywords that you can include within your listing. To complete my listing i will use a few more of helium 10’s tools. I will use “Misspelinator” to find any common misspellings of my best keywords (This is useful to add to your back-end on amazon). I will then use Frankenstein to condense my keyword list, then finally i’ll use scribbles to make sure i have included all of my keywords. I have explained exactly how i use all of these within my helium 10 review article, have a read using the link below. Now we know how to find the keywords we need to use it’s going to be beneficial for me to mention where they should all go. I can’t say this for sure but based on split testing a lot of 7 and 8 figures i know have said exactly the same thing. Try to prioritize your keywords in that order, but make sure they are written with the reader in mind. Amazon are all about the customer experience, so everything needs to be easy to read with the user in mind. If a listing is stuffed full of random keywords, no one is going to trust it. Using competitors keywords is a great keyword strategy, it allows you to replicate what is already working. How Important Are Keywords On Amazon? Not everyone will have to worry. If you have a huge brand and a large marketing budget outside of amazon a lot of your customers will be searching for you with your brand name. But on page optimization and making sure you are visible for the keywords that relate to your product is essential. If you want to improve on your sales that is. It’s a no brainer, in my opinion. 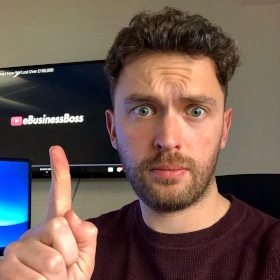 Hopefully this article has demonstrated my amazon keyword strategy in a pretty transparent way, after all that’s why we started ebusiness boss. The main aim was to show you how to find competitors keywords on amazon but on top of this we still want to share as much useful information as possible. We want you to learn from the things we are learning along the way. I’ve got some useful information for anyone reading this thinking that they may want to rethink their amazon keyword strategy. Everything changed for me a few months back. I’ve been a full time amazon seller for a little while but i decided back then that i wanted to kick things up a gear. I invested in a couple of different online courses and took the time to really figure out my amazon strategy. If you want to improve your business i’d recommend using tools that save you time and give you access to useful data. Helium 10 is without a doubt “The” best amazon seller tool i have used so far. 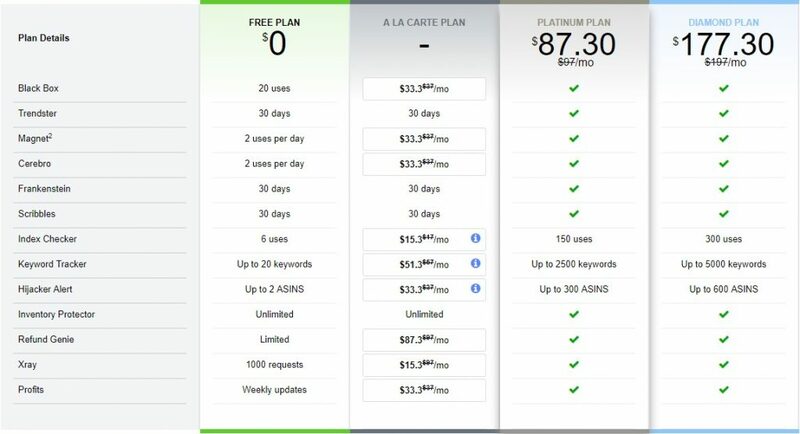 If you want to give it a try, click the link below and trial out their free plan. If you are a little further along in the process you might be considering using their paid plan. I’m on their platinum plan and it’s the best decision I’ve made. The software was recommended to me and i used a friends affiliate link to save myself some money in the process. So i’d like to offer the same to you, use the link and one of the following codes to save yourself some money on any of the paid plans. You might be thinking, helium 10 sounds cool but how much is it? Here is a breakdown of helium 10’s pricing. You can extract A LOT of useful information using the free plan so i’d recommend trying it out if you haven’t already. It takes things up a level that’s for sure. The only downside with helium 10 is that you need to be willing to put in time and effort to learn how to use it. We are committed to helping you learn, we already have a few helium 10 tutorials up on our YouTube Channel. When i started out i used the 10% link because i’d set out exactly how i was going to use the software each month. Why not use the 50% coupon to get the first month half price. You can always cancel after that if you’ve gotten everything you need out of the software. We only want to recommend products that we actually use and like! Thanks so much for taking to time to read this, i’d love to hear your comments in the section below. We are always looking to improve on the content we are putting out so feel free to tell us it’s rubbish if that’s what you think. This article has answered your question.